We were super excited to watch this episode after seeing the trailer and yes, the episode did match up to our expectations. 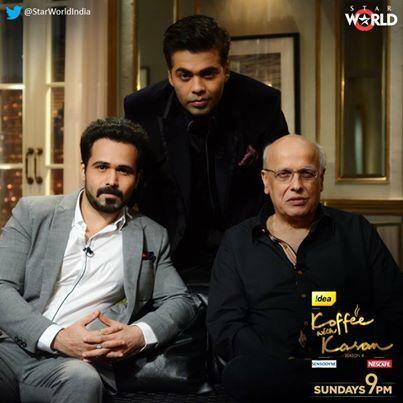 Watching someone like Emraan who has always kept a low profile in such a talk show was great. Here’s a small trailer where we see Emraan Hashmi advice Katrina Kaif and Ranbir Kapoor. When asked what he wants to tell Ranbir, he said, “Stop playing the ladies man stereotype, the press wants it more than you.” When it came to Katrina, he promptly said, “Lose him!”.